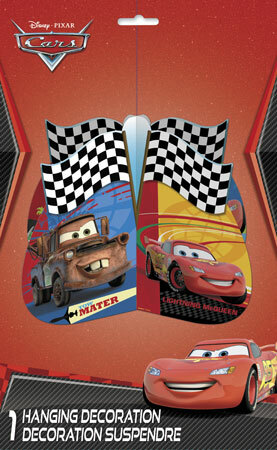 Disney's Cars Dream Party Room Transformation Decoration Kit. 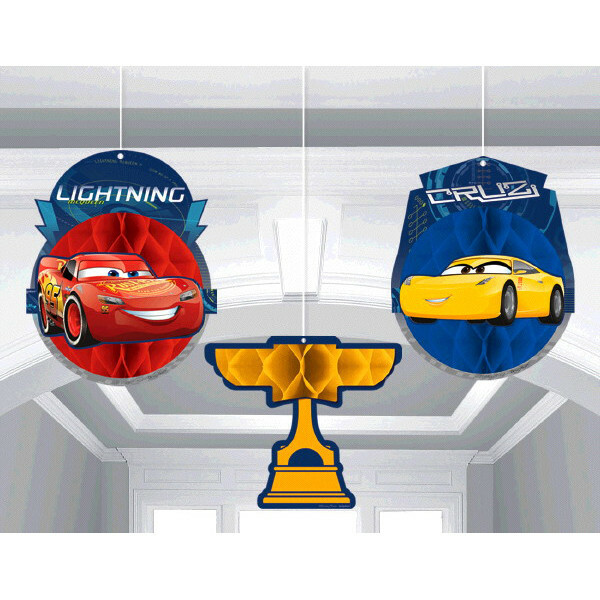 Includes: 19 Hanging decorations (with string) and 3 wall decorations each 16.5in x 23in. 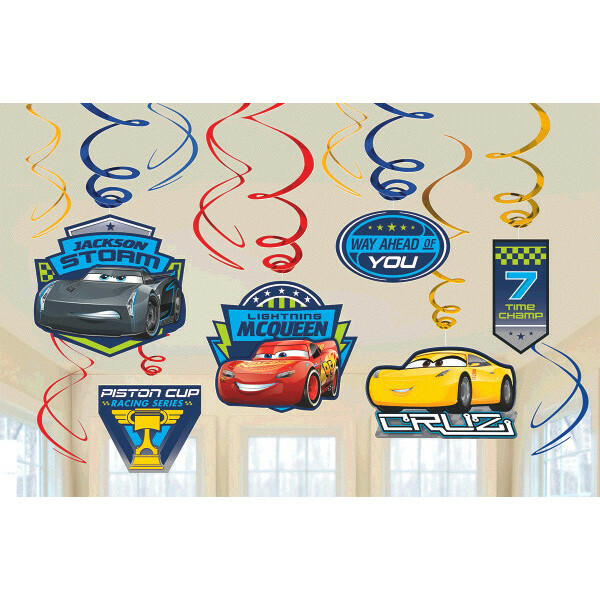 Set the scene, from the front door to the cake table, and everything in between, easily transform your party room into the world of Disney Cars!